WASHINGTON (AP) — Saudi Arabia's young crown prince has an ambitious list of to-dos: modernize his conservative kingdom, weaken Iran's hand across the Mideast and, this week, rehabilitate his country's image in the eyes of Americans. Crown Prince Mohammed bin Salman, son of King Salman and heir to the throne, is opening a marathon tour of the United States with a stop in Washington, where he plans to meet President Donald Trump on Tuesday. He'll hold separate meetings with a long roster of influential U.S. officials, including the secretaries of defense, treasury and commerce, the CIA chief and congressional leaders from both parties. The visit comes as the United States and much of the West are still trying to figure out Crown Prince Mohammed, better known by his initials MBS, whose sweeping program of social changes at home and increased Saudi assertiveness abroad has upended decades of traditional rule in Saudi Arabia. 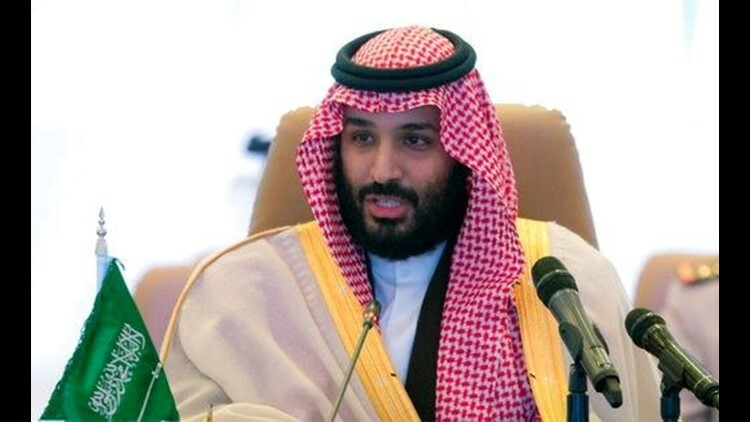 The 32-year-old crown prince also has big economic plans, and over three weeks in the U.S. he will meet businessmen in New York, tech mavens from Google and Apple Inc. in San Francisco, and entertainment bigwigs in Los Angeles. Other stops include Boston and Houston. "This is not the real Saudi Arabia," MBS said when asked by CBS News about the repressive version of Islam many outsiders associate with the kingdom. He said he was restoring the more tolerant, egalitarian society that existed before Saudi Arabia's ultraconservatives were empowered in 1979. "We were victims, especially my generation that suffered from this a great deal." It's a message that has earned MBS admirers in the United States, as he allowed women to drive and opened movie theaters shuttered since the 1980s. MBS is turning "Saudi Arabia into a normal country in which normal people lead normal lives," Saudi Foreign Minister Adel al-Jubeir told reporters Monday. Yet Democrats and Republicans have approached some of the crown prince's other bold steps with trepidation, particularly as they pertain to his anti-Iran efforts. One bill in Congress proposes scaling back U.S. military assistance to a Saudi-led coalition fighting in Yemen. MBS, in particular, has been closely identified with the three-year-old war in the Arab world's poorest country, which started while he was defense minister. The Saudis and their allies are fighting Iran-backed Houthi rebels, but international organizations have harshly criticized the coalition's airstrikes and blockading of Yemeni ports for contributing to thousands of civilian deaths and a humanitarian catastrophe. In MBS, Trump will find a sympathetic ear for his calls to crack down on Iran, Saudi Arabia's archenemy, and strengthen a 2015 nuclear deal with Tehran that former President Barack Obama and world powers brokered. Trump has threatened to pull out of the agreement unless there are changes by May. Last week, Trump fired Secretary of State Rex Tillerson, an advocate of staying in the accord, choosing Mike Pompeo, the current CIA director and nuclear deal critic, as a replacement. MBS could dangle a huge carrot in front of Trump for his support. Stock exchanges in New York and elsewhere are vying for the international listing of Aramco, the Saudi oil behemoth expected to go public soon. Saudi concerns with New York include a post-9/11 law that could jeopardize assets in the United States if victims' families claim Saudi Arabia helped the al-Qaida attackers and sue for compensation. Although the U.S. has welcomed MBS's determination to purge pervasive corruption in Saudi Arabia, including by royals, the Trump administration hasn't endorsed his tactics. Last year, more than 150 high-level princes, ministers, military officials and businessmen were abruptly rounded up and detained at the Ritz-Carlton hotel. They eventually paid settlements that Saudi Arabia says exceeded $106 billion. "It didn't work," he said. "So now you do something dramatic."